Disclaimer – My usual norm for TV drama reviews apply, that is, I analyse only the story and not the other aspects of a TV drama such as acting, direction, background music, etc. The first I heard of Pablo Escobar, the notorious drug lord from Colombia was whilst reading about the footballer Andrés Escobar (not related to Pablo) who was shot in Medellín, Colombia, in 1994 following Colombia’s elimination from the football World Cup owing to the own goal he scored. I read that if Pablo had been alive, the incident would not have happened as he is a die-hard fan of football and the Colombian team and nobody would have dared to attack a footballer in Medellín, Pablo’s hometown. Thanks to the recent crime thriller from Netflix, being Narcos, on the life of Pablo Escobar – I could get to know more about him. The story is told from the perspective of Steve Murphy, an officer in the Drug Enforcement Administration (DEA) of the United States who arrives in Bogotá on a mission to take down Pablo Escobar. He joins his DEA colleague Javier Peña – a Texan who has already been in Bogotá for a while. The story then moves to Pablo Escobar, who starts his career as an ordinary smuggler of electronic items and cigarettes before starting to enter the cocaine trade – sending the drug in large quantities to Miami, US – and inevitably, the US has strong interests in bringing down the cartel. It shows the rise of Pablo Escobar in Medellín – how he forms an effective cartel combating his enemies, including Colombia’s communist guerrilla M-19 wherein he brings drug lords together to combat M-19’s kidnapping tactics. The story brought out the aspect of Pablo Escobar’s rise very well – how he rose to prominence so quickly. The story then moves on to his next ambition – Escobar had a lot of money, and as he couldn’t hide it, he started distributing it to the people, building houses for them that he became very popular. As a result, Escobar ran for parliament, with ambitions of becoming the President someday but the fellow Congressmen were not too welcoming of Escobar’s presence in Parliament. As a result, Escobar’s downfall began when he started to kill politicians opposed to him. 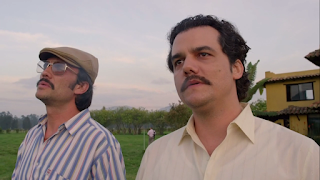 From here on, the series proceeds with the story of Escobar till his death. 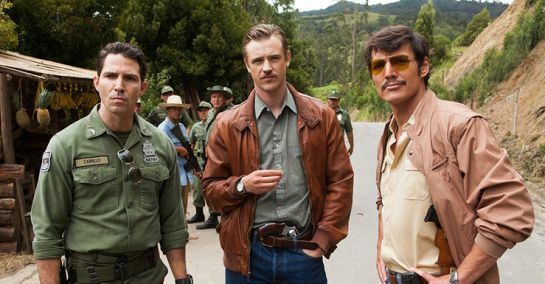 The story had an all-round focus – the situation in the US embassy; the tiffs between the DEA and the CIA; the political situation and the campaigns for presidency in Colombia and Escobar’s interests in suppressing the campaigns; how the war affected the personal lives of two of the central characters – Steve Murphy of the DEA and Pablo Escobar himself. The story also brings out the character of each of the main persons involved – Javier Peña – who is willing to risk the means so long as it satisfies the ends, Steve Murphy – who becomes too attached to the task of finding Escobar that he begins to start to feel at home in Bogotá and even picks up a bit of Spanish, Horacio Carillo - the fearless head of the Search Bloc of the Colombian police and one of the rare incorruptible officers, Pablo Escobar – the astute and megalomaniacal drug lord who is also extremely concerned about his family, Gustavo Gaviria – the loyal cousin of Pablo and his right hand man, César Gaviria (not related to Gustavo / Pablo) – the Colombian President who begins his tenure on a principles and eventually starts to make compromises in the war against Escobar. The perspectives of the characters were portrayed so much in depth that at times, you’d have some sympathy for Pablo Escobar. In this story, they bring out a lot of aspects – such as the society in Medellín back then, corruption in the police, politics and media, etc. It also was a story dealing with various human obsessions such as power, greed, pride, jealousy and revenge making Narcos rather a complete package. We read / see a lot of characters doing absolutely unbelievable acts and we wonder someone could do it in real. On that note, Narcos scores high as they did pick up a real character, often showing real footages and photographs from the police records (such as Escobar’s mugshot) and videos from the Colombian political campaigns. The very fact that this story is about a real person and most characters who appear are people who are real and still be interesting is something that provides a significant boost to the series. However, on that note, while the producers agree that there are fictional elements for the purpose of dramatization, that makes fact checking a very important activity for a trivia crazy person like myself. While most characters were real, there were a few who weren’t such as Horacio Carillo; who was an entirely fictitious character. Some names have been changed of key characters but I would understand that as owing to certain legal constraints (such as Escobar’s wife and his journalist contact – both of whom are still alive) but I felt having key fictional characters was something that could have been avoided. Moreover, the show suggests a lot of conspiracy theories which alleged Escobar to be the brain behind the incidents such as; the attack on the Supreme Court of Colombia carried out by M-19 and also the murder of presidential candidate Luis Carlos Galán to be actually carried out by Escobar whereas in reality = the link between M-19 attack and Escobar is yet to be established and Galán murder is unsolved till date. Considering that, I might have preferred if they had taken an entirely fictional approach based on Pablo Escobar which would have given them full creative liberty and at the same time, weave an equally interesting story. Instead, I had to often pause my viewing and perform fact checking and sometimes, was disappointed over the producers portraying as though at a particular point in time, Escobar was in fact the most powerful man in the world. I don’t know whether other viewers also would tend to pause the video often while watching but in case they didn’t; they might believe in the portrayal of Escobar verbatim. Furthermore, I felt that they prolonged the story a little, just a brief look at the timeline, the first season portrayed Pablo Escobar’s life from the start of his activities till 1992 and the second season for the same length, covered till his death, which just happened a year later, in 1993. Whilst I generally don’t have the patience to watch TV shows, Narcos proved to be something different, it made me binge watch, often six hours (excluding the hours spent on fact checking) at a stretch. 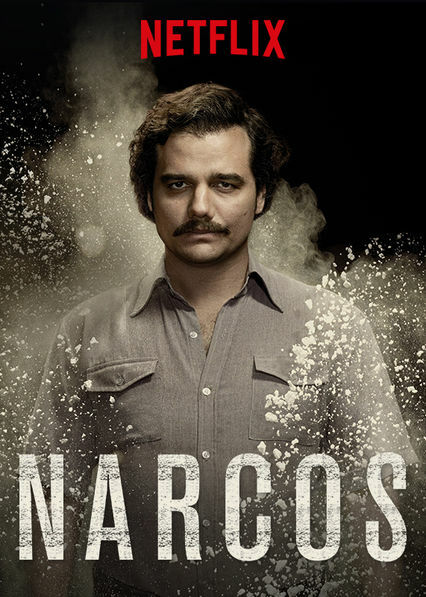 This was a highly gripping plot and those who enjoy a story containing crime, politics, police procedural, all at once, Narcos is certainly a must watch. On that note, I would award the show a rating of eight on ten.